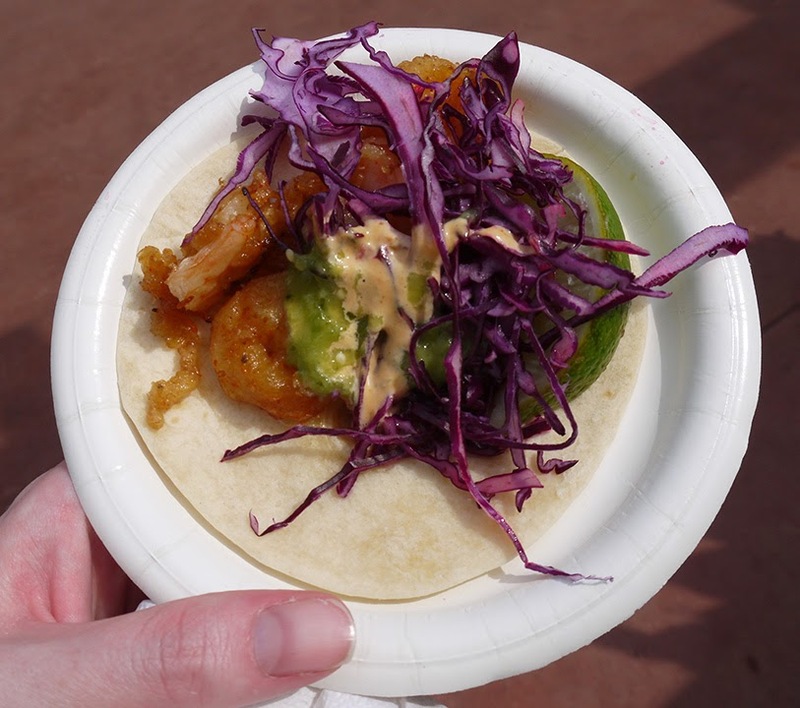 I can’t think of much that is better than visiting EPCOT during the Food and Wine Festival. 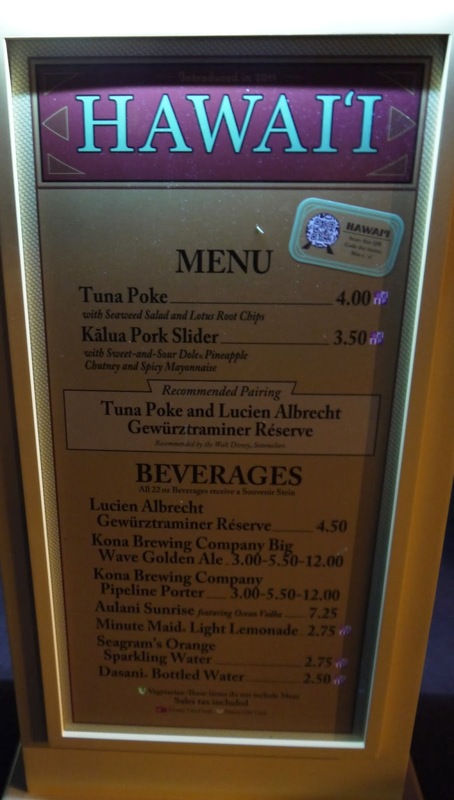 Once we got a taste of it on a trip with our friends we ALWAYS want to go back during this time. It is DELICIOUS! 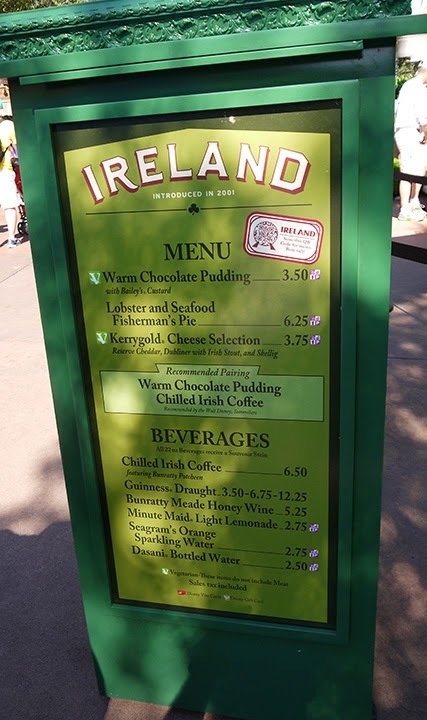 It has become so popular they even offer food booths at EPCOT's Flower and Garden Festival in the Spring! To make it more fun they even give you a “passport” of all the countries that you can have stamped when you go purchase some yummy food or drink, doesn’t matter! 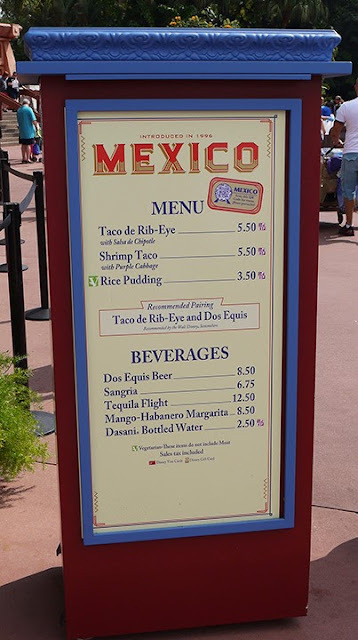 You could even try and make your way around World Showcase sampling all the different countries and get the whole thing stamped if you’re feeling ambitious, or hungry! 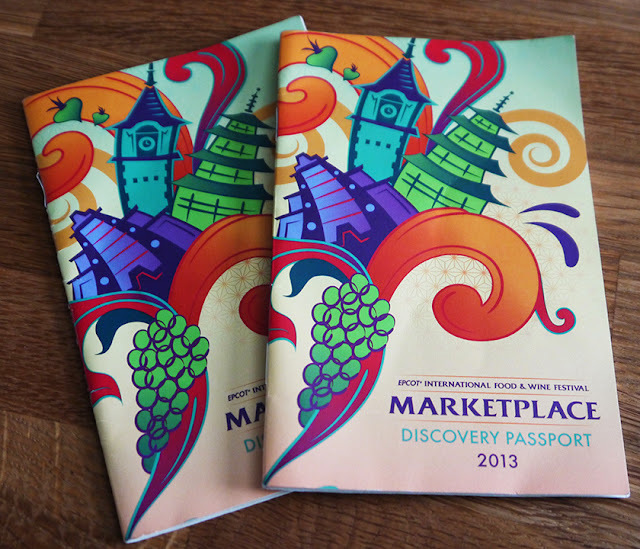 The cast members though will gladly stamp your passport without a purchase, but what’s the fun in that?! My husband and I definitely had some favorites! I'll only touch on a few, we hardly made a dent in the 30 stands Disney had there! Probably the BEST thing I’ve eaten there, so much so, I'm not ashamed to say we went back multiple times during our trip just to get these delicious tacos. If you love tacos you must try them! 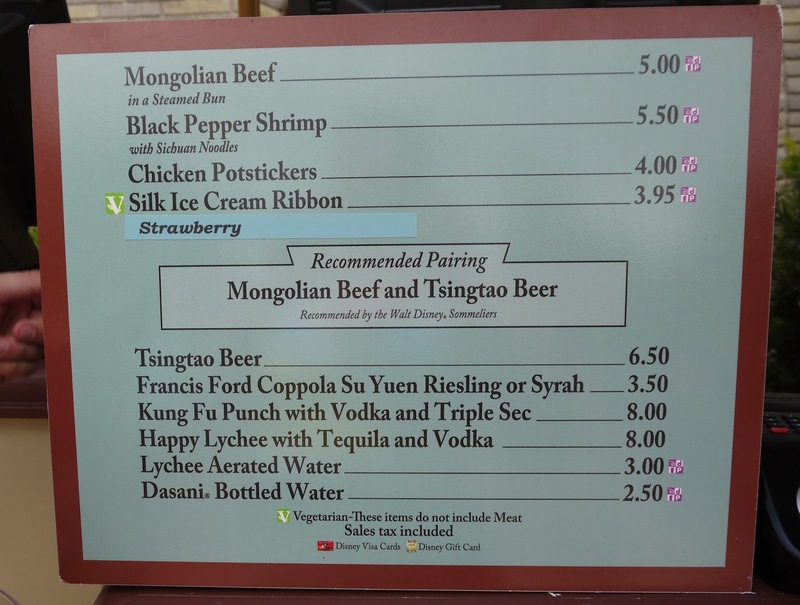 I loved their Mongolian Beef in a steamed bun. I thought I'd be getting a normal steamed bun stuffed with beef inside but this was more wrapped like a taco. It was so good! 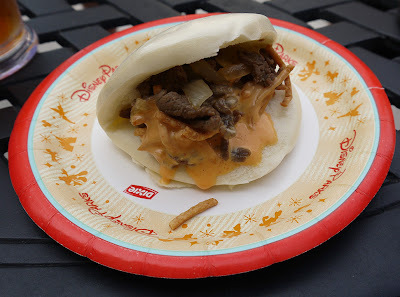 Beef, onions and a sriracha-like sauce wrapped in a thin steamed bun. I may or may not have gone back for seconds on this one as well. My Husband had the pot stickers, loved them but at them so fast we have no picture! 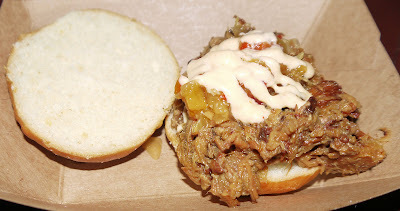 Kalua Pork Slider topped with sweet and sour Dole pineapple.....amazing! 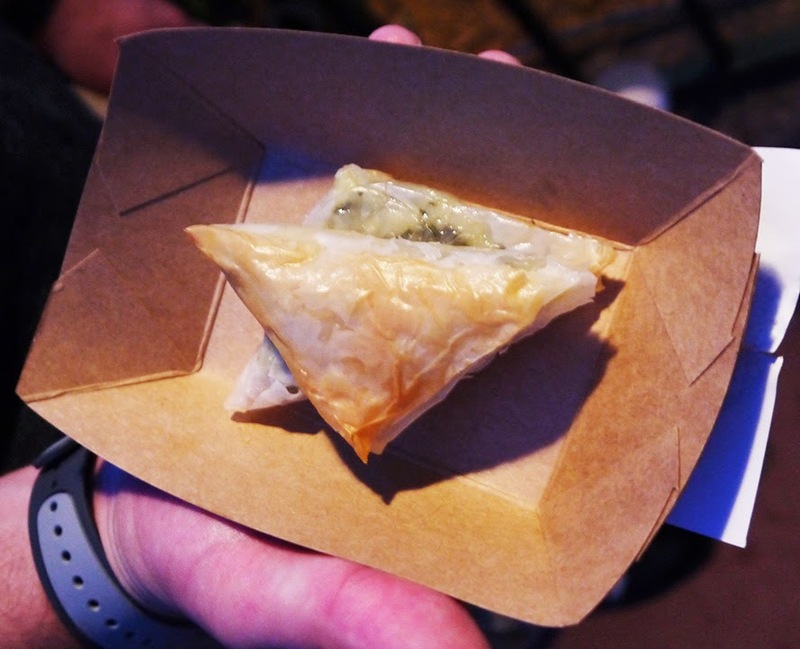 Hubs and I split two dishes here, the Griddled Greek Cheese with pistachios and honey, and Spanakopita. 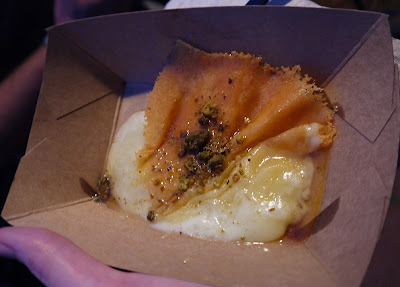 The Griddled cheese intrigued me, honey and cheese is fantastic together, this combination sounded interesting enough to try it. The Spanakopita was good but more standard. We tried the Kerrygold Cheese Plate. 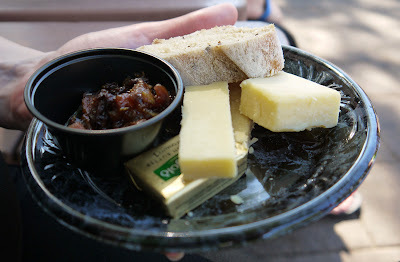 The cheese was great but neither of us cared for the compote side. Hubs loved washing it all down with a pint of Guinness! 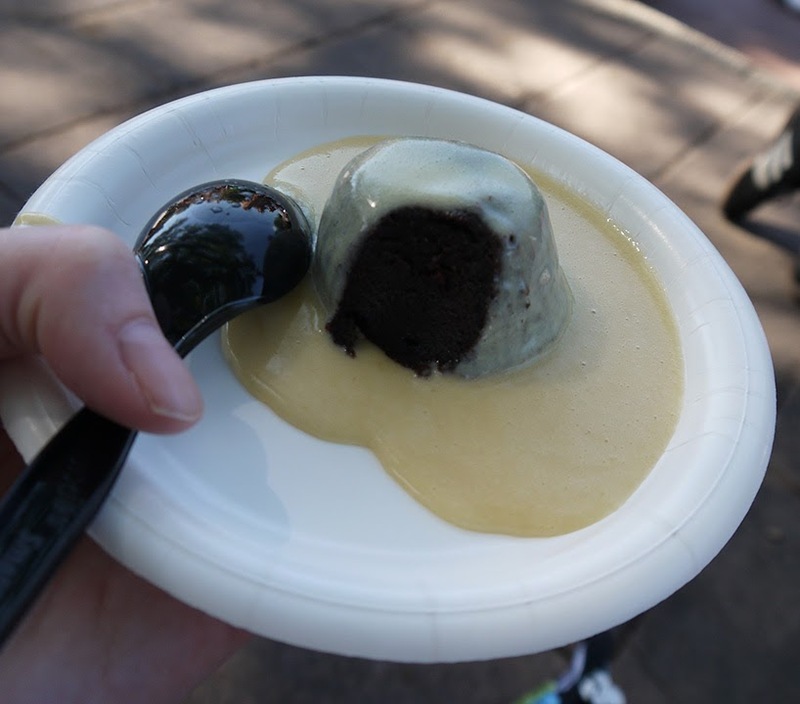 I enjoyed the Warm Chocolate pudding topped with Bailey's custard. So yummy! I wanted another. 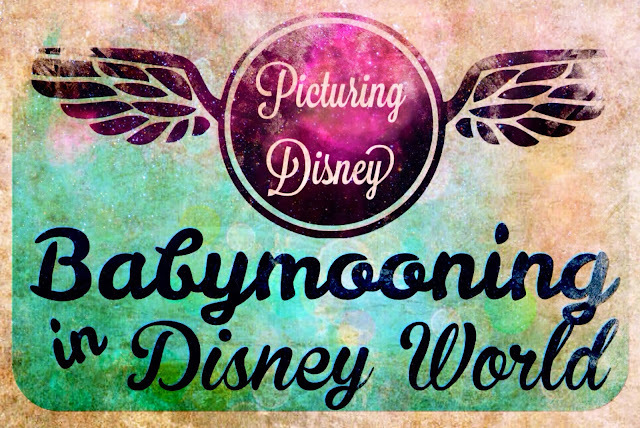 We weren't there for very long and had to make the most of our time! I wish we had more time to try everything! It all looked delicious! Until next time!